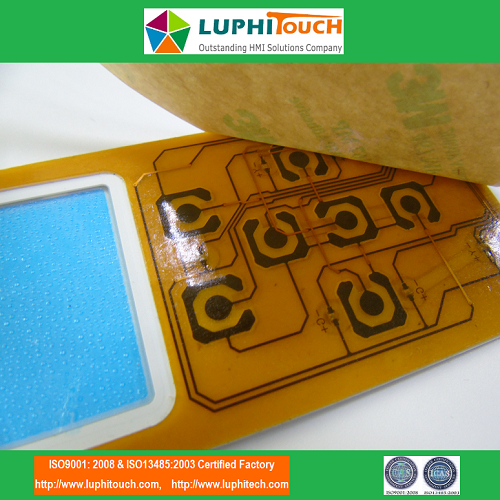 LTMS0093 is a kind of FPC circuit metal domes tactile membrane switch. Due to there is a big display window on the keypad so antiscratch is necessary for window. 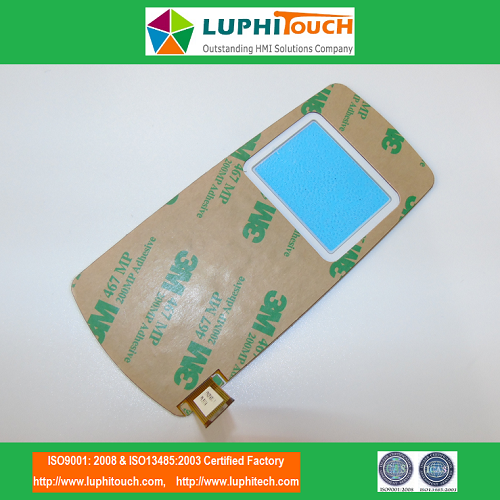 For this keypad we used Autoflex EBG material which is antiscratch and the circuit layer is single side copper flex FPC circuit with 8pcs single color Everlight LEDs SMT assembled on it. The buttons are round embossed with tactile metal domes which can giveend user a nice click feedback when they using it. 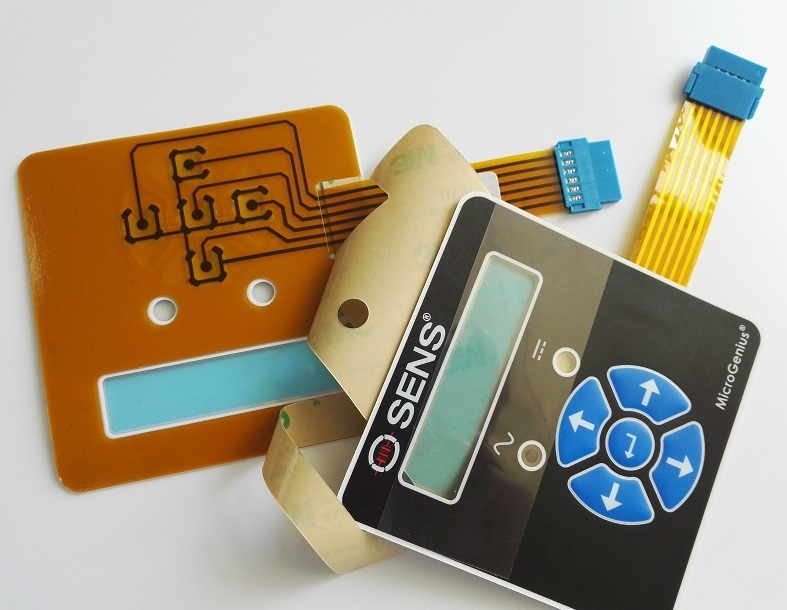 Membrane Switch is a kind of interface operation product. 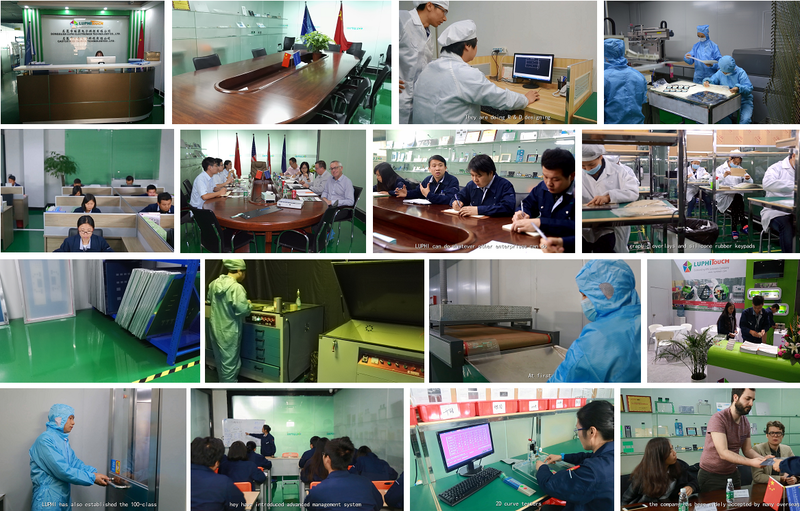 Many devices, equipments, instrumens etc. need the operation interface panel. To design different symbols, diffeent colors can give users a friendly interface window and can design the circuit layer. Use metal domes contact the conductive pads on circuit laer then can get your wanted function when you press relevant buttons. 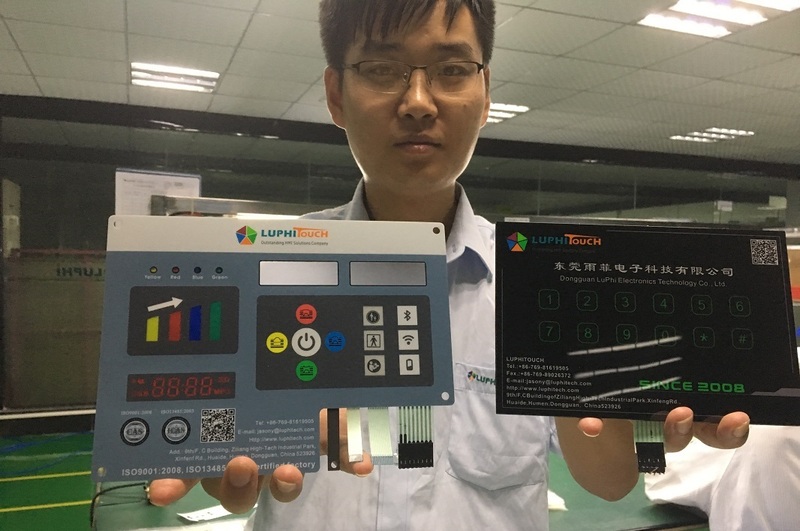 LUPHITOUCH certified by ISO9001:2008 can design and manufacture various kinds of membrane keypads to meet your requirement. 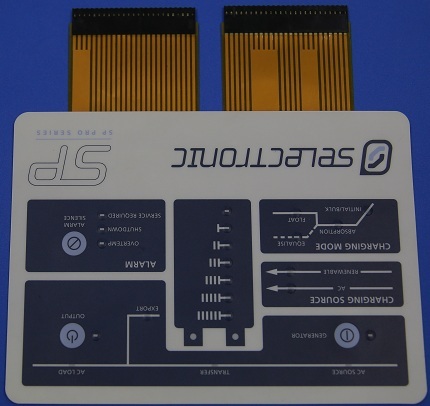 In addition we also have our own PCBA factory can provide one stop solution service for your projects. > Question 1: What kind of Membrane Switches we can produce? Super big size membrane switches, membrane keypads, Graphic Overlays, membrane circuits, LED backlighting membrane switches, LGF backlighting membrane switches, EL backlighting membrane switches, Capacitive Membrane Switches, rubber keypad membrane switches, FPC Circuit Membrane Switches, PCB Circuit Membrane Switches, metal back panel membrane switches, Acrylic/PC back panel membrane switches,, waterproof membrane switch, anti-UV membrane switch, anti-scratch membrane switch, Digital Printing Membrane Switch etc. > Question 2: What is our shipping method? > Question 3: What is our certification? > Question 4: Can we provide the design service to our customer? 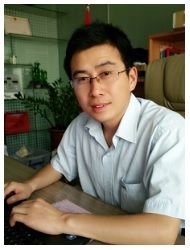 > Question 5: Can we provide the material sourcing service? 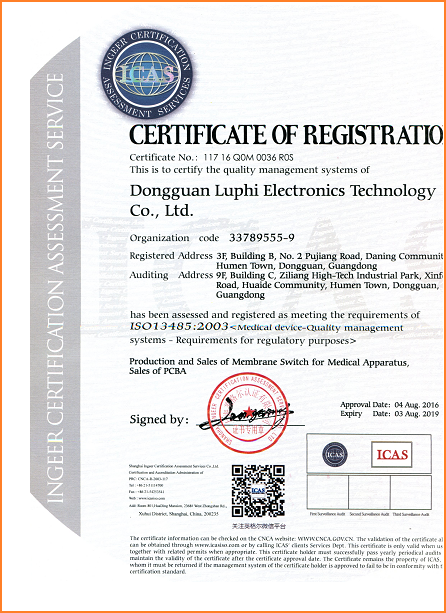 for example sourcing the electronics components, plastic, metal, rubber, wireharness etc. 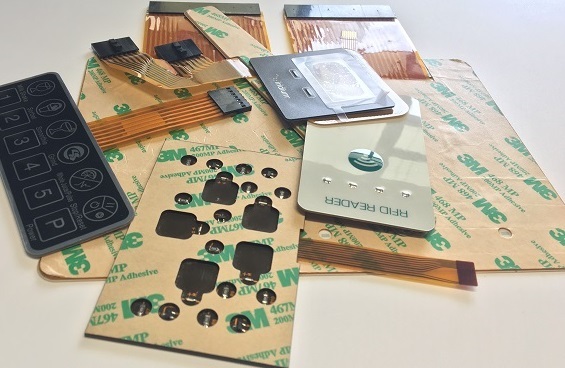 parts for customer's PCBA projects? 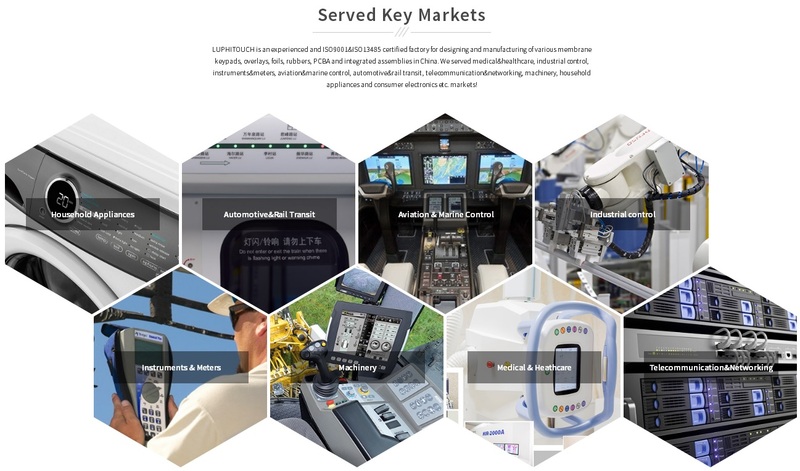 Looking for ideal Tactile Buttons FPC Circuit Membrane Switch Manufacturer & supplier ? We have a wide selection at great prices to help you get creative. 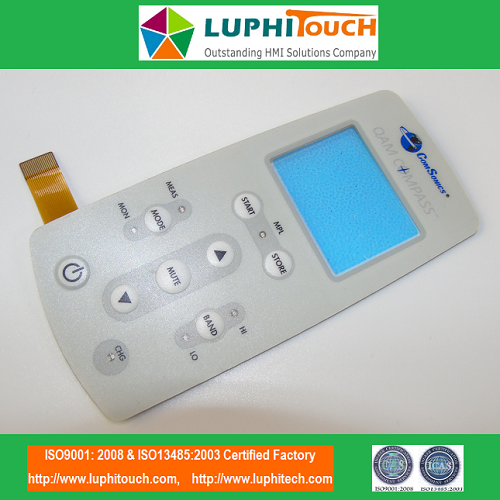 All the Tactile Buttons FPC Circuit Membrane Keypad are quality guaranteed. 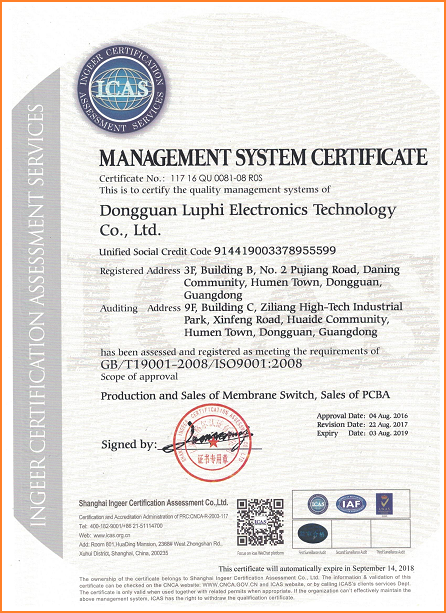 We are China Origin Factory of FPC Circuit Board Membrane Switch. If you have any question, please feel free to contact us.